Are the RTS' or the Orion VI still in service? Spotted only one RTS in the day that I was there. Did not spot the Orion VI, but it could still be in service. 1985 GM Classic #52522, oldest bus in the fleet at the time, and still is unless it's been retired. 1998 Nova Bus RTS, the one RTS that I spotted in a fleet of five, rear shot is available on my website too. 2006 Orion VII #43662 for your ad. wrap fans. 2007 Orion VII NG #43763, the first numbered NG in the fleet. Nice shots! And thanks for sharing them. I've always wanted to visit Saint John. Great shots Kevin! Thanks for sharing! Saint John is a really great little city. Haven't been back since '04. Anyone have any new info regarding Saint John's current active fleet? The wiki page states still states that 4 GM Classics, 11 MCI Classics, 6 Nova Classics, and 5 Nova RTS's are still in service, but I reckon that's greatly out of date. I recall seeing one or two Classics last time I was in Saint John several months ago. AFAIK Saint John hasn't bought any new buses in a while. I guess 2012 don't count? As an update, 32754 has been in regular use since I moved to Saint John in early June. I was in Saint John in May and in August, and both trips I saw 2 or 3 Classics in service. I didn't get their numbers. I don't think I ever saw an RTS. ANy updates on the number of Classics and RTS still active? The only classics that I've seen recently are 48238, 48239, 48543, and 48646, and the only RTS I've seen since last June is 46847. Do Saint John's bus ID numbers hold any info regarding the year of manufacture? The hundredths place, perhaps? 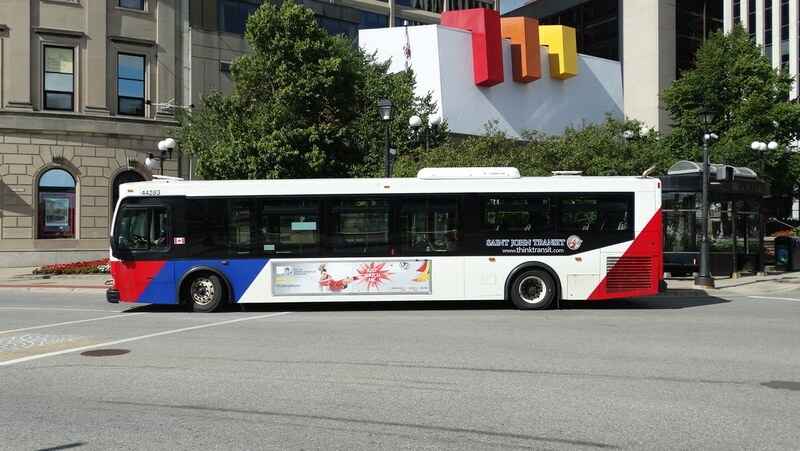 Saint John numbers their buses with the first 2 digits as seating capacity, the 3rd digit as the last number of the year of manufacture, and the 4th and 5th digits are the unit number. An updated fleet list from Saint John shows only 7 active Classics (48238, 48239, 48543, 48544, 48645, 48646, 52930) and 1 active RTS (46847). Two Nova LFS (40') are on order for this year. Just curious, but where did you get that list from? 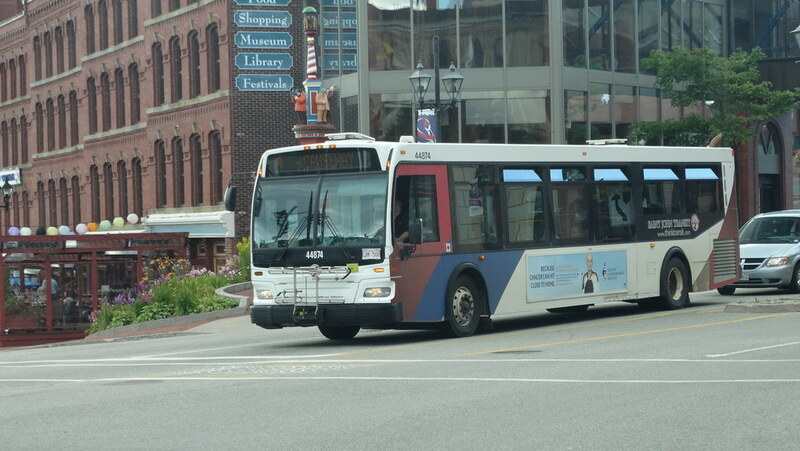 Saint John Transit submitted a fleet survey to CUTA (Canadian Urban Transit Association) for the end of year 2014. The Canadian Transit Heritage Foundation (CTHF) was allowed access to the data to help produce the 2015 edition of "The Street Side Guide". Saw on the Nova Bus Facebook page, SJT received their first LFS, 40585. Windowless rear. So that means the other one is 40586. Forgot to take a picture of it, but I saw 40585 about 45 minutes ago operating on the Crescent Valley route. 40586 must also be entering service soon, then. Farewell to the 1992 Classic and either RTS or 96 Classic! Aren't most of their fleets starting from Orion VII have a/c?